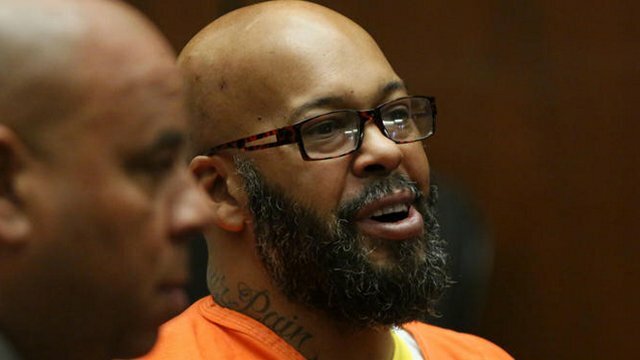 Suge Knight made the claims through his lawyer Thaddeus Culpepper and said that his ex-wife Sharitha and Death Row Records security chief Reggie Wright Jr. were behind the infamous drive-by shooting, WENN reports. Tupac was shot in Las Vegas on September 7, 1996 riding in the passenger seat of a BMW that Knight was driving after they attended a Mike Tyson boxing match. He died six days later. “Suge admitted to Culpepper that the theories in the movie were true,” a source said. The theory says that Sharitha and Wright conspired to take out Knight to take over Death Row. It’s not a new theory, though. A similar chain of events was put forth in the book Tupac 187: The Red Knight, which was co-written by former LAPD detective Russell Poole and the same people behind the Battle For Compton film, Michael Douglas Carlin and Richard Bond. “Culpepper told Carlin individually that not only did Knight confirm the events as portrayed in Compton, which portray Knight was the intended target and Shakur as collateral damage, as true, but also goes on to allege that these 1996 events may have been the first in a history of attempts on Knight’s life, culminating in the recent attempted killing of Knight at the 1OAK Club in Los Angeles, where Knight was shot six times,” a film spokesperson explained. Wright Jr. has commented on the shooting before, and has denied any involvement.